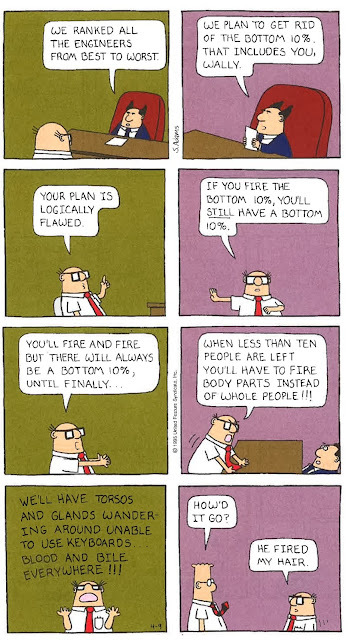 I was standing at my colleague's table today taking a break at work when I took and opened up a book on Dilbert's comic found on her desk. I leafed through the pages and read this strip. I found it so utterly funny and not wanting to laugh out so loud in the quiet office that I was really having a hard time!